Beautiful, aromatic, drought tolerant and lasts all summer long! If you're like most gardeners, you're looking for ways to attract more pollinators to your garden. That's why we're so excited to introduce our new Hummingbird Mint Collection. 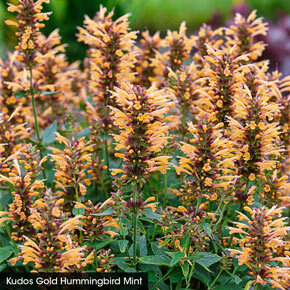 Thanks to modern breeding efforts, these hardy hummingbird mints have more vivid colors and better growth habits than many older varieties. 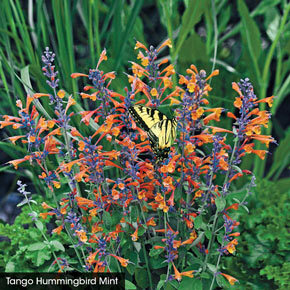 Hummingbirds, butterflies and pollinating bees will love drinking from the lightly scented, upright spikes of brightly colored, nectar-rich tubular flowers. And you, too, will love these hardy, easy-care perennials that will add late summer color and anise scent to your garden. 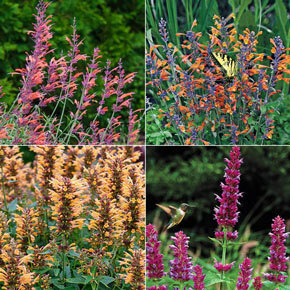 • Kudos Gold—Abundant,brilliant orange flower spikes create a warm glow in the garden. 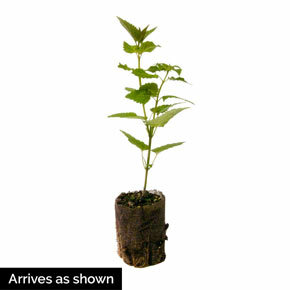 Growing 12-18" tall, it has a compact habit and gray-green foliage. • Tango—The bright orange-red flowers really stand out and are a must-have for this collection. Growing just 12-18" tall, it has a compact habit and attractive gray-green foliage. 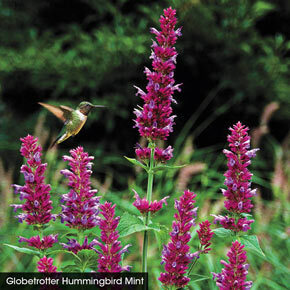 • Globetrotter—Growing up to 40" tall, this hybrid's lilac–pink flowers and red–hued bracts beckon pollinators and hummingbirds. 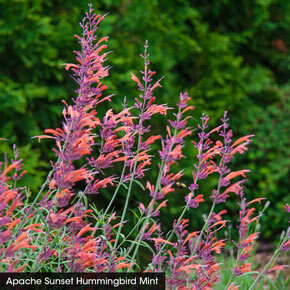 • Apache Sunset—Delightful rose–purple buds and deep orange flowers make blue calyces opening to orange-red flowers. Winter Care: Mulch the first winter to prevent frost heave. Foliage Type: Lance-shaped to ovate green leaves with a light mint scent. Pruning: Can self seed, so if you do not want it to spread too much, remove spent flower stems. After flowering. Flower Form: Trumpet shaped blooms. Foliage Type: Ovate to lance shaped, grey-green leaves. Pruning: Remove faded flowers to prevent seeding. Leave stems to overwinter. Remove new growth in early to mid spring for more flowering stems and a more compact plant. Soil Requirement: Well drained, humus enriched soil is best. Winter Care: Mulch to overwinter in northern areas. Flower Form: Rounded umbel of tubular, bell shaped flowers 1-2" long. Foliage Type: Ovate, toothed, grayish-green leaves with a light mint scent.